Camden Lee Vista offers luxurious and spacious one, two and three bedroom apartment homes conveniently located near major roadways including SR 408, SR 417, SR 528, and I-4. You are able to get anywhere in Orlando quickly. In your Camden Lee Vista apartment home, you will have a full-size washer and dryer and spacious walk in closets. Relax after a long day in the garden tub or on the balcony with a glass of wine. Your apartment will have an open floor plan complete with crown molding, palladium windows, 9-foot ceilings and double sink vanities. You won’t need a gym membership because our spacious fitness center is fully equipped with everything you need to get a complete workout, including free weights and cardio equipment. Work from home? We got you covered with a business center and lounge when you are in need of some extra work space. Have kids? They will be able to attend top rated schools within our area. Sun Blaze Elementary and Lake Nona Middle School are both Florida rated “A” schools. You and your kids will enjoy WiFi access at all of our amenities. Never be disconnected! We love pets and welcome them with open arms. It's easier than ever to keep your home and pet clean with our onsite pet grooming station. We are also close to Barber Park Dog Park, Conway Veterinary Hospital, and Pet Paradise & Spa. Also, get your car shiny and sparkling at our car wash station or rent one of our detached garages to keep your car out of the elements. The Orlando International Airport is only five minutes for any frequent traveler. With the ability to walk to Lee Vista Promenade you can find amazing home décor deals at HomeGoods or stop for a delicious latte at Starbucks. It is the perfect place to spend the day shopping and has a plethora of restaurants to stop and grab a bite to eat. Pick up your groceries and everyday household needs at Publix, Aldi, and Walmart which are only 10 minutes away. Residents also receive a technology package through Spectrum included in their total monthly rent. This money-saving package includes high-speed internet with speeds up to 60 Mbps, WiFi, and more than 300 digital channels with over 100 in HD. 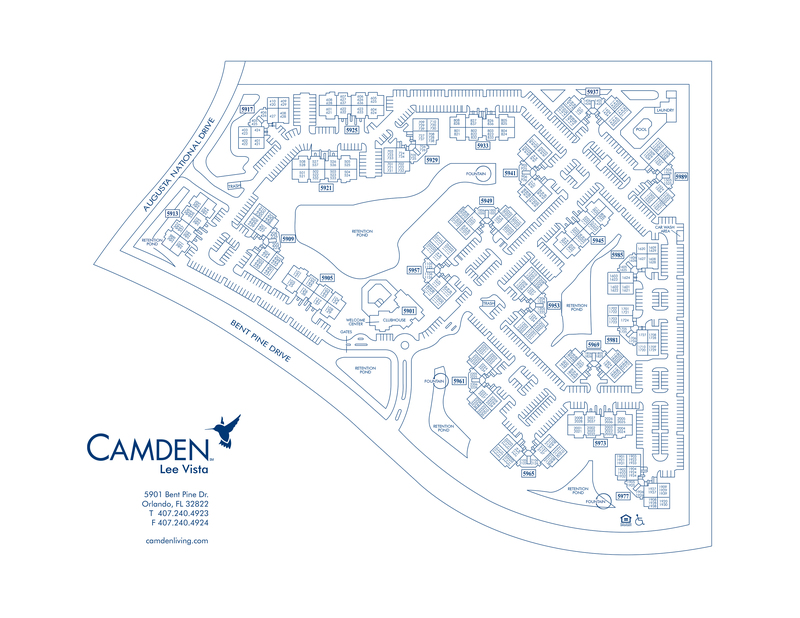 Come home to Camden Lee Vista where you will love where you live. Call today to make an appointment to see your beautiful new apartment home! Pet rent: $10 per month per pet. Detached garages are available to rent for $100 per month.